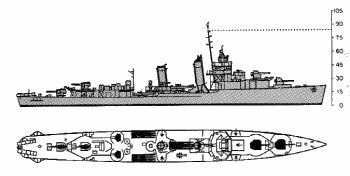 Dimensions 334'3" by 35'5" by 12'4"
1942: Search radar (probably SC) and 4 to 5 single 20mm Oerlikon AA guns were added. 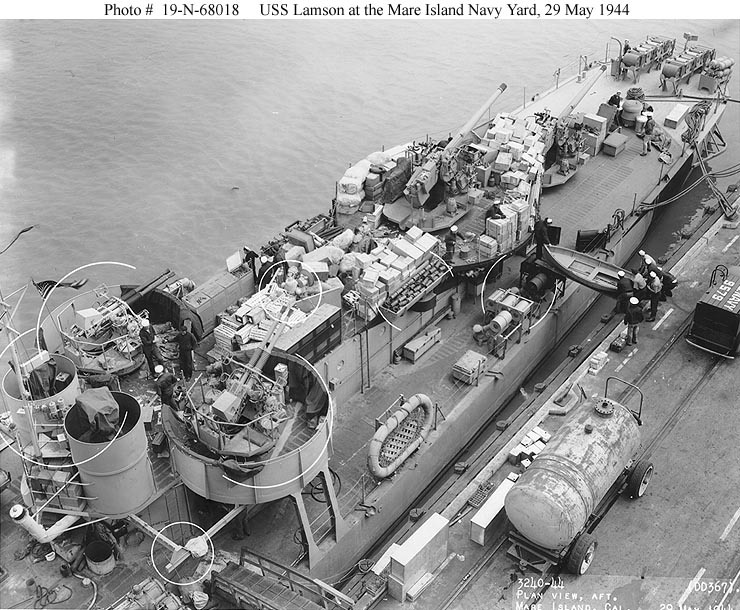 Later one 5" gun was replaced with two more 20mm or 2x2 40mm Bofors AA guns and fire control radar (probably FC) was added. 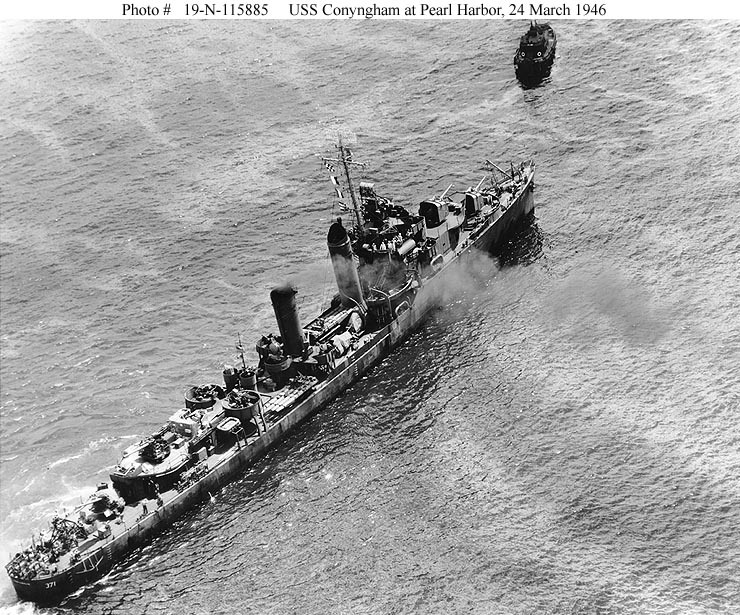 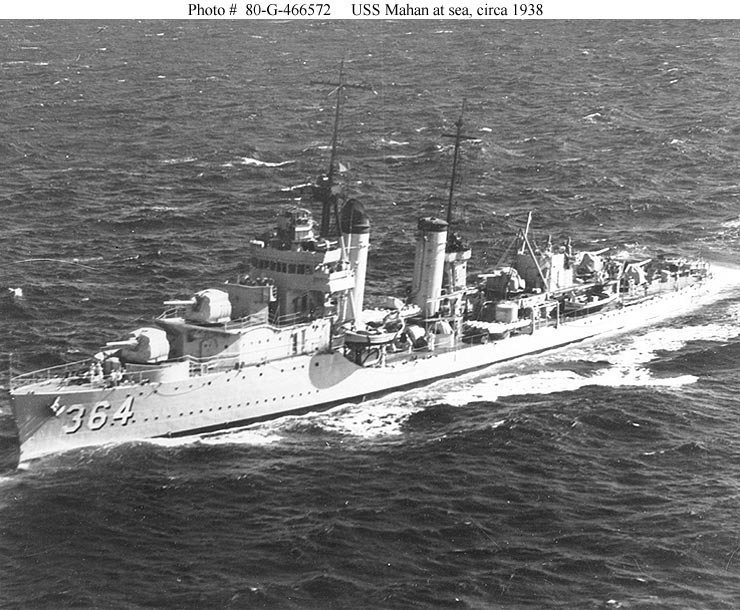 The Mahans were completed in 1936-1937 and inherited both the strengths and the weaknesses of the preceding Farragut class: good armament, very high speed, and weak hulls. 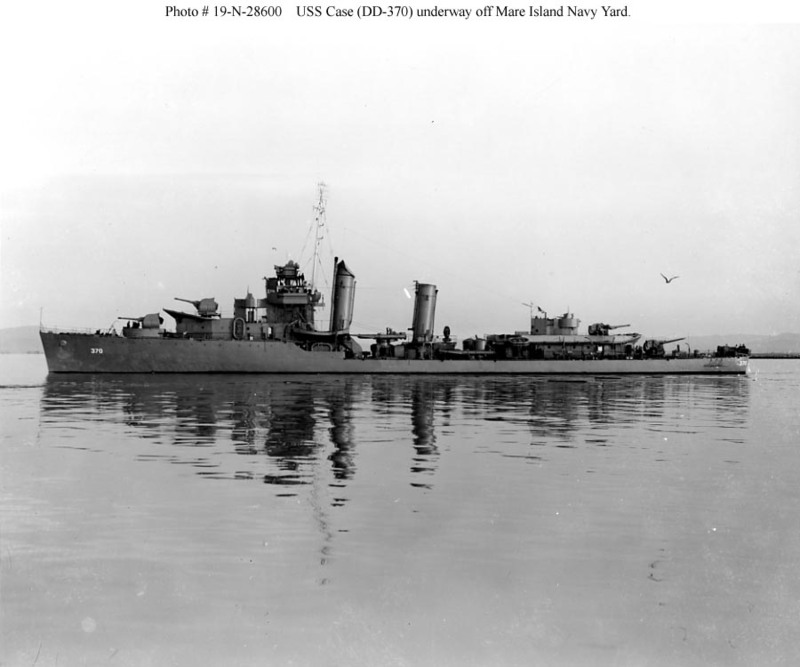 They differed from the earlier class in shipping more torpedoes and in using higher temperature steam turbines, with their greater efficiency. 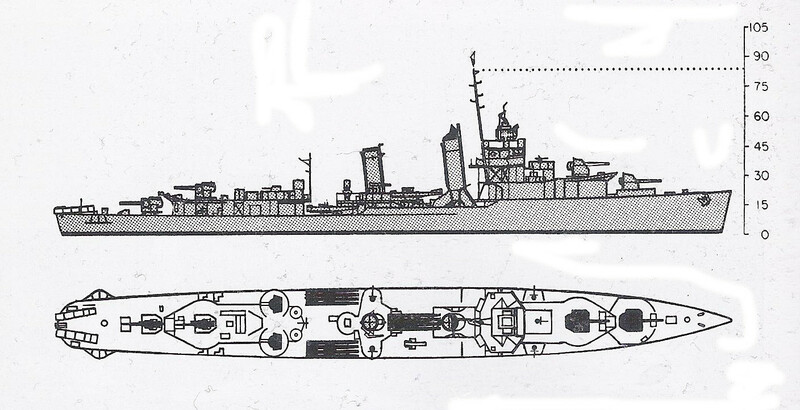 However, the extra bank of torpedoes could be shipped only by moving two banks off the centerline. 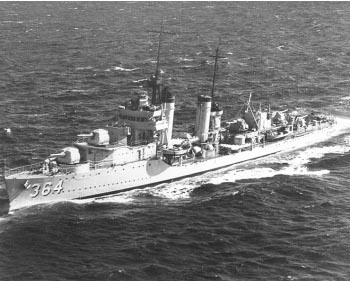 Two units, Dunlap and Fanning, had closed gun houses for the two forward guns, and are sometimes listed separately as the Dunlap class. 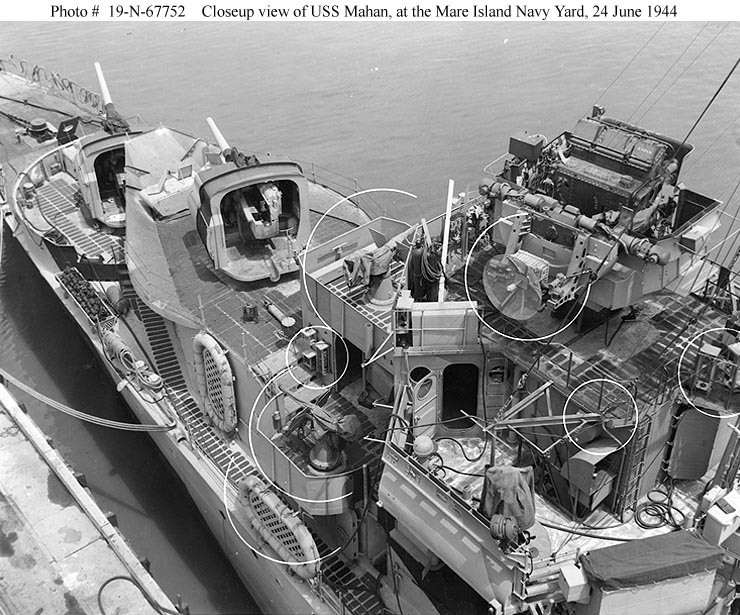 This was the only significant difference between these ships and the other Mahans. 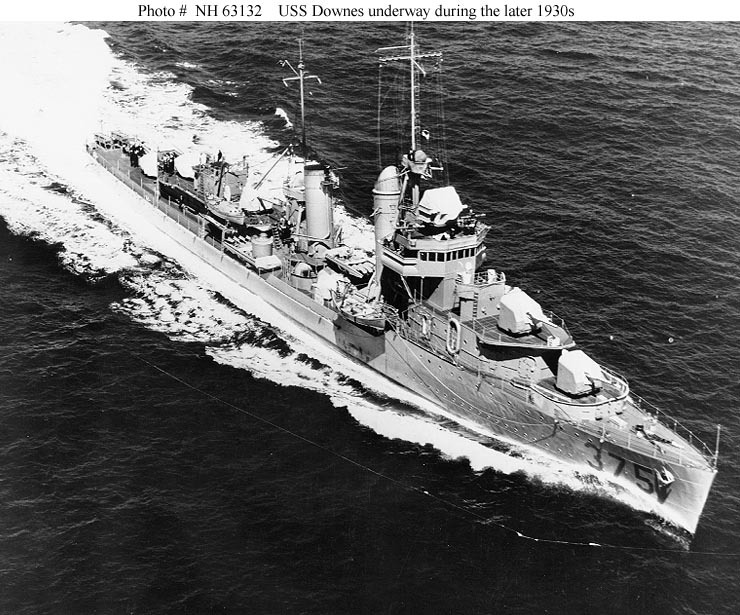 Downes was completely wrecked during the attack on Pearl Harbor. 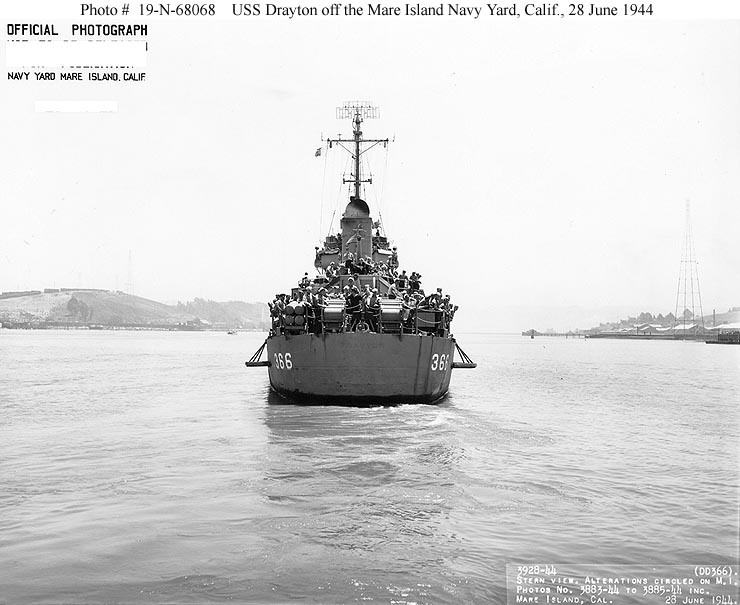 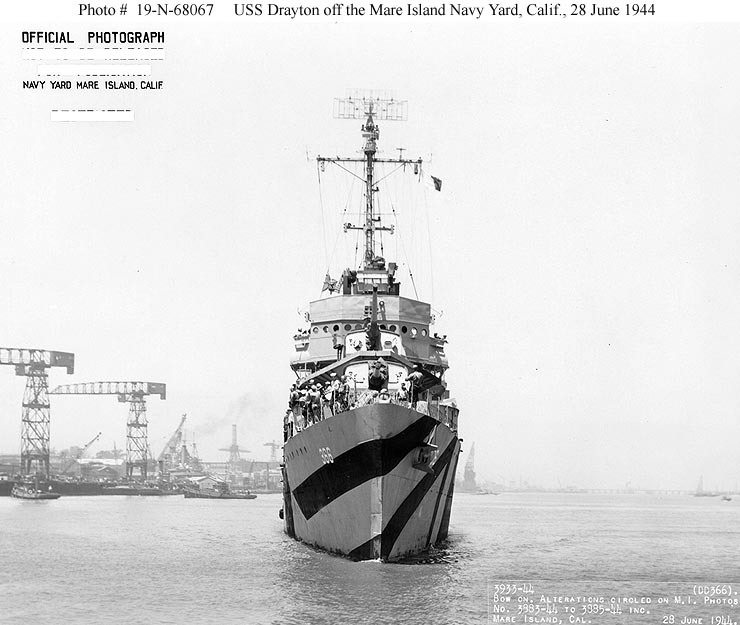 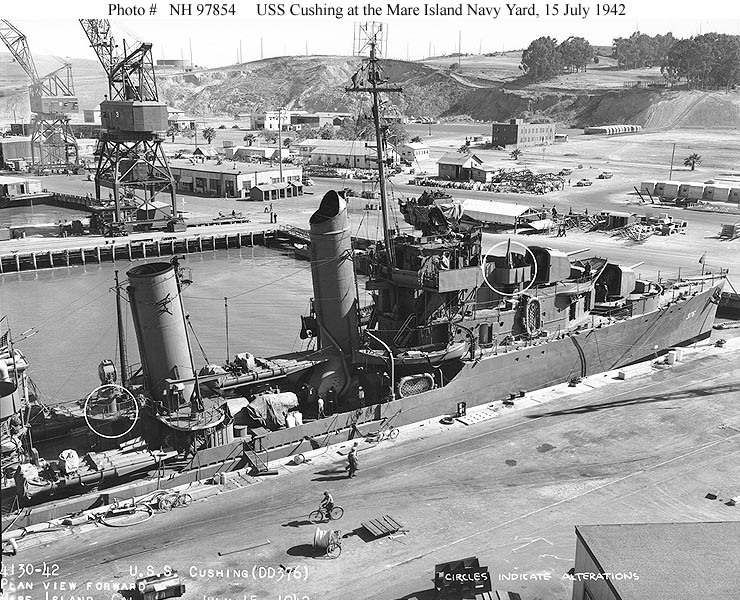 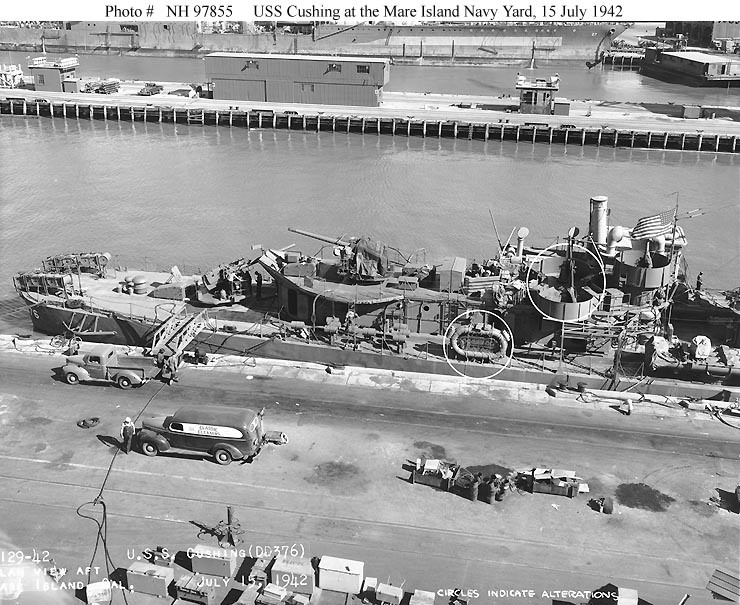 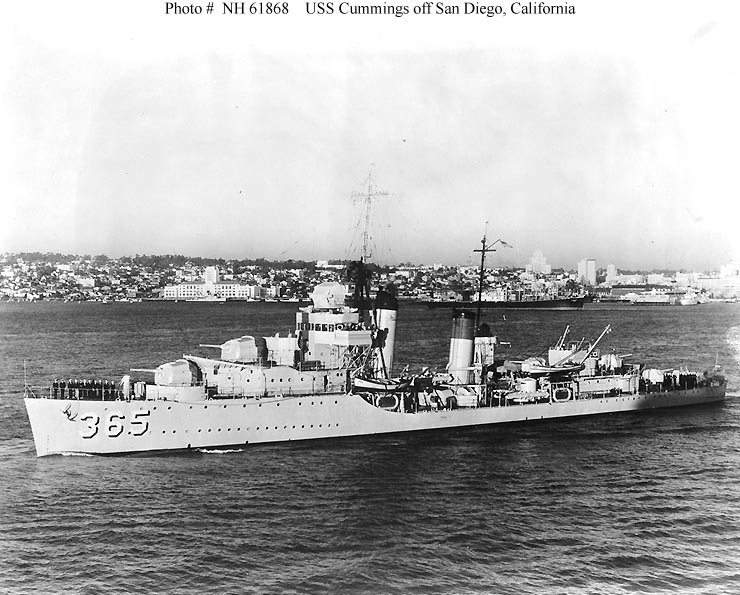 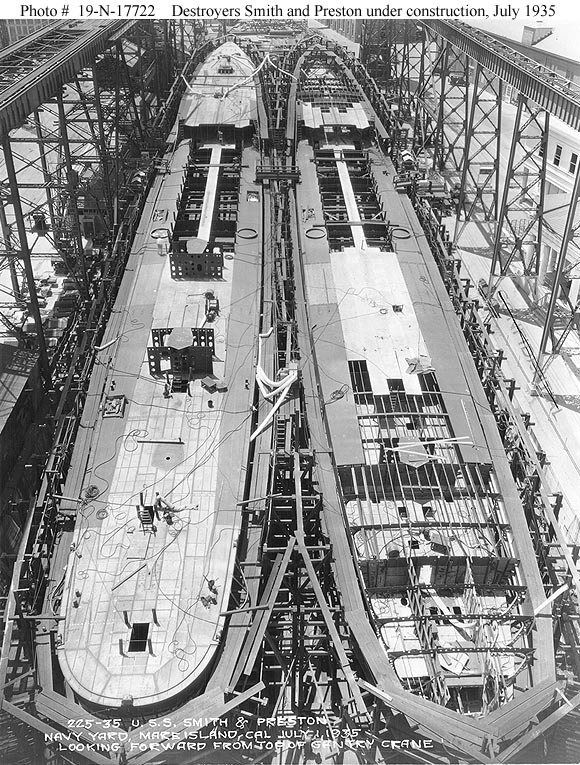 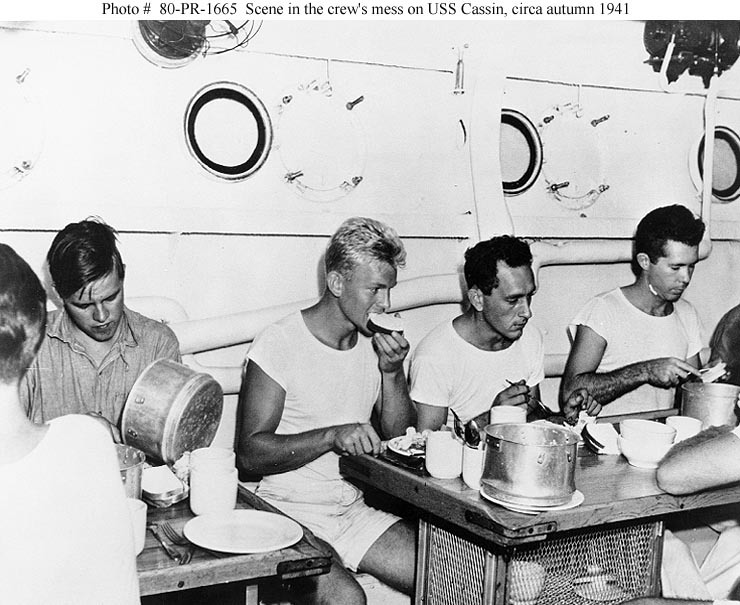 Her machinery was salvaged for construction of what was really a new ship, but the U.S. Navy chose to regard it as the old ship, extensively repaired, with the same hull number.